The EDF Group, a leading participant in energy transition, is an integrated energy company, working across the board of the specialisations: generation, transmission, distribution, trading, power sales and energy services. World leader in the low carbon energy sector, the Group has developed a diversified generation mix based on nuclear power, hydropower, new renewable energies and fossil fuel power. The Group contributes to energy supply and provision of services to around 37.1 million customers, including 26.2 million in France. In 2016, it generated consolidated turnover of 71 billion Euros. 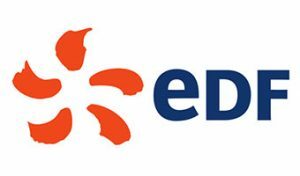 EDF is a company listed on the Paris Stock Exchange. EDF acts as technical coordinator of the project, bringing in extensive research on RES integration studies alongside with the experience gained as low carbon electricity producer and flexibility provider in Europe. Several EDF R&D teams are involved from Energy systems analysis and economics, Optimization risks and statistics, Smart Grids to the Electric Materials Department, as EDF R&D will develop and test modelling tools, new services, and also cooperate in the demonstration of technologies, needs and barriers linked with this flexibility. EDF will lead one of the EU-SysFlex demonstration on its facilities in Concept grid, EDF Lab Les Renardières (France), testing flexibility performances regarding TSOs upcoming needs of an aggregation of new technologies including wind, PV, battery storage and electric vehicles.